In a judgment apparently contradictory to the view taken by another bench of co-equal strength in DM Wayanad Institute of medical sciences vs. Union of India and Another (wherein it was held that the Supreme Court under Article 32 will not interfere with an administrative order where the constitutionality of the statute or the order made thereunder is not challenged on the ground of contravention of Fundamental Rights), a bench of the Supreme Court comprising of Justices Anil R. Dave and Kurian Joseph, in Sree Balaji Medical College and Hospital and another v. Union of India and another- a decision rendered today, has overruled the submission of the Medical Council of India opposing the maintainability of the said writ petition relying on the earlier cited decision in DM Wayanad and held that there was no substance in the submission. In DM Wayanad Institute of medical sciences a Bench of the Supreme Court comprising of Justices M.Y. Eqbal and Arun Mishra had delivered the above ruling while considering two connected writ petitions filed under Article 32 of the Constitution of India challenging the refusal of the Medical Council of India (MCI) to recommend the renewal of permission for admitting students for the academic year 2015-16 in the MBBS Course of the petitioner institutes and the consequent refusal of the Union Government to renew such permission. In the judgment rendered today, the Bench of Justices Anil R. Dave and Kurian Joseph was considering a case wherein the petitioner medical college was granted permission to establish a new medical college and it was recognized by Notification dated 17.02.2009. As per Order dated 15.07.2013, the petitioner was given permission to increase the seats for M.B.B.S. from 100 to 150 for the Academic Session 2013-2015. The petitioner-medical college submitted an application dated 25.09.2013 for permission to increase the admission capacity from 150 to 250 for the Academic Session 2014-2015. In that regard, they have also filed a writ petition before the Madras High Court leading to Judgment dated 29.04.2014. The Central Government was directed to consider the application of the petitioner and pass orders on merits on or before 31.05.2014. The writ appeal filed by the Medical Council of India was dismissed by Judgment dated 09.06.2014 in Writ Appeal No. 728 of 2014. The Medical Council of India approached the Supreme Court which directed that the application filed by the applicant to the Medical Council of India for getting additional seats for 2014-15 be treated as one for the academic year 2015-2016 instead of 2014-15. The Medical Council of India was further directed to complete the inspection of the applicant-College before 31st October, 2014. The Medical Council of India thereafter filed an interlocutory application for modification of the Court’s order dated 18.07.2014 contending that only if the intake of 150 (increased strength of 50) is recognized by the Central Government, the request for further increase can be considered. On 17.10.2014, the Apex Court directed the Medical Council of India to complete the inspection in respect of the application for the intake of 250 students by 15.11.2014. Accordingly, the inspection was conducted and the report submitted. The Medical Council of India and the Central Government fairly admitted that the petitioner-medical college satisfies all the requirements for increase of admission capacity from 150 to 250, as per the report. Thereafter the Medical Council of India, it its Meeting held on 20.11.2014, decided that “… since Sree Balaji Medical College and Hospital, Chennai is not recognized for 150 admissions, it is not eligible for further increase from 150 to 250 as per the earlier decision dated 14.03.2014.” The decision dated 14.03.2014 was one taken by the Committee not to increase the strength in any medical college unless the existing strength is recognized by the Central Government. The Court said it seen from the from the pleadings that in case of two medical colleges (1) S.P. Medical College, Bikaner, Rajasthan and (2) Maulana Azad Medical College, New Delhi, permission was granted for increasing admission capacity without recognition of the existing capacity, as increased from time to time. 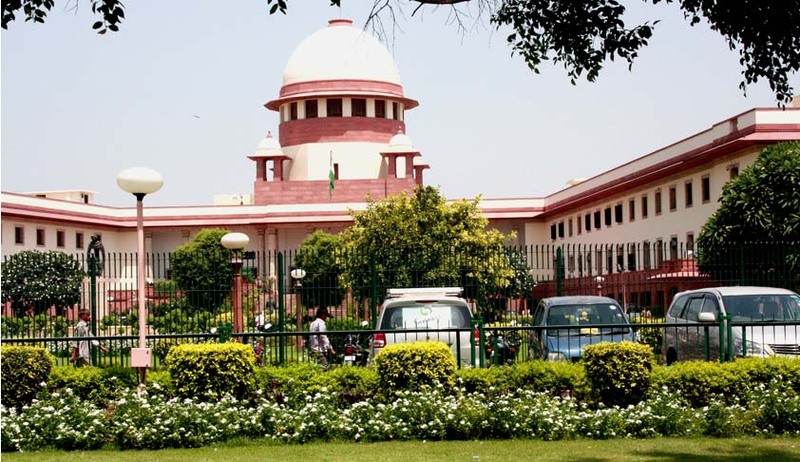 At this point, the Counsel appearing for the Medical Council of India raised an objection regarding maintainability of the petition placing reliance on the recent Judgment of the Apex Court in Writ Petition (Civil) No. 441 of 2015 and connected cases decided on 23.07.2015. In DM Wayanad Institute of medical sciences the Supreme Court had referred to the case of J. Fernandes & Co. vs. Dy. Chief Controller of Imports and Exports, (1975) 1 SCC 716, wherein the Apex Court, while considering writ petition under Article 32 of the Constitution, observed that a petition under Article 32 will not be competent to challenge any erroneous decision of an authority. A wrong application of law would not amount to a violation of fundamental right. If the provisions of law are good and the orders passed are within the jurisdiction of the authorities, there is no infraction of fundamental right if the authorities are right or wrong on facts. Thus it seems that the judgment rendered today in Sree Balaji Medical College and Hospital and another v. Union of India and another goes against the dictum laid down by another Bench of co-equal strength of the Apex Court in DM Wayanad Institute of medical sciences, and in that view of the matter, given the similarity in issue involved, the judgment has thrown open doors to questions of its correctness especially as to its finding on maintainability of a writ petition under Article 32.